At the event, Huawei's Rotating Chairman, Ken Hu, announced the shipment of Huawei's first 10,000 5G base stations, outlining the company's vision for the future of 5G. "5G will start a technology revolution," he said. "It will bring new power to all ICT technologies, and trigger sweeping changes in business. There will be new opportunities the likes of which we've never seen." 5G will turn connectivity into a platform. 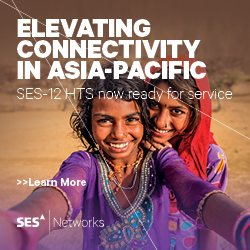 With 5G, wireless access networks will go beyond pipe, providing seamless, ubiquitous, and limitless connectivity for all people and all things. Everything will go online. Right now, most things are offline by default, and most electronic devices are not connected. With 5G, being online and connected will become the default for everything. The world will go all cloud. Supercharged with 5G, the cloud will provide massive computing power with instant transfer speeds and near-zero lag. This will make intelligence on demand available for everyone, everywhere. New business models like Cloud X – where devices are boosted by inexhaustible cloud-based resources – will begin to emerge. Devices will be redefined. With AI support across devices, network, and the cloud, devices will go from plug and play to plug and think. They will understand users better – able to actively predict our needs, not just passively respond to commands – and interact with us in more natural ways. Experience will flow seamlessly. With existing networks, our online experience is fragmented from one scenario to another. When all things are online and cloud-based, experience and content will flow seamlessly through time, space, and devices for a truly holistic experience across all scenarios. "From all angles, 5G is ready," Hu said. "It's ready to use, it's affordable, and most importantly, demand is real. Of course, there are still some barriers to 5G deployment." Ken Hu went on to discuss challenges with spectrum allocation and site deployment. Specifically, mobile operators lack spectrum resources. To help speed up deployment, Hu recommended that governments accelerate the process of harmonizing and releasing continuous bands of large-bandwidth 5G spectrum, and at a total cost lower than 4G. "In the meantime," he pointed out to mobile operators in the audience, "in addition to C-band, all bands can and will eventually be used for 5G, including 2.3 GHz and 2.6 GHz bands." "As for sites, deploying networks is expensive business," he continued. "We encourage governments to make more public resources available for site deployment. Shared utility infrastructure, such as rooftops and light poles, can help carriers cut costs and time, and can even open up new revenue streams for public utilities." He summed up his keynote by highlighting Huawei's four main innovation targets for 5G. "We believe 5G will make an important and lasting contribution to society. At Huawei, we are working hard to make 5G networks stronger, simpler, more intelligent, and more secure." This year's Global Mobile Broadband Forum starts out with two days of keynotes on a range of topics, including deep dives into new network technology and best practices in commercial 5G deployment. Breakout sessions cover topics like connected services on LTE networks, digital indoor systems, connecting the unconnected in emerging markets, network automation, and cellular vehicle-to-everything (C-V2X) networks. GSMA, a trade body that represents the interests of mobile network operators, will host a Cloud AR/VR Summit on the second day of the event. During the summit, GSMA will launch a Cloud AR/VR Forum to help operators and ecosystem partners incubate new services and applications in the 5G era. In addition to keynotes and breakout sessions, the forum features a 2,700-square-meter indoor convention hall where Huawei will showcase breakthrough network technologies like SingleRAN Pro, and next-generation applications that use the Cloud X model. 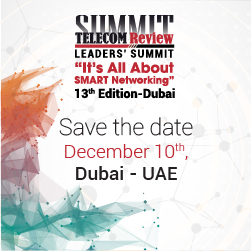 Organizations like GSMA, TechUK, and the Government of the Netherlands will also have exhibits, alongside 10 different mobile operators from Europe, the Middle East, and Asia-Pacific, and 36 Huawei partners from around the globe. Outside the convention hall, there is an outdoor setup featuring the largest 5G trial network in Europe, giving attendees the opportunity to experience a live, continuous 5G experience in a moving vehicle. In the trial zone, all four of the UK's major operators – BT/EE, Three UK, Vodafone, and O2 – are working side-by-side to showcase 5G solutions for WTTx (wireless for home broadband), the Internet of Things, and connected vehicles. 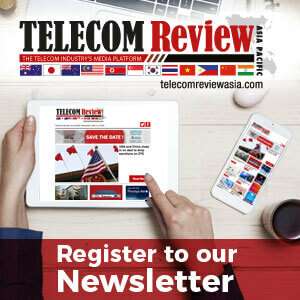 The Global Mobile Broadband Forum has been held every year since 2010. The purpose of the forum is to encourage more in-depth discussion and collaboration between global telecom operators, vertical industries, and other stakeholders across the value chain.